A search warrant would be obtained, and investigators would eventually say White was growing more than 1,700 marijuana plants. It appears no details have been reported on the case since a 2012 news release, when the Polk County sheriff announced the biggest indoor marijuana bust in his more than 20 years in law enforcement. On Wednesday, White, now 77 with failing eyesight, walked into the federal courtroom with a cane in his hand and chains around his feet. Judge Douglas Harpool struggled with his decision to sentence White to 10 years in prison. He said he researched any way he could give White less than the 10-year-minimum sentence but failed to find one. White's attorneys have long argued that the case should have never reached a sentencing, saying White has been unfairly targeted by local, state and federal authorities. Authorities already had their eye on White long before March 2012, his attorneys say, when overzealous detectives illegally stepped on his property — and trampled his constitutional rights. According to a motion filed by White's attorneys, this case didn't begin with a woman's identity being stolen — it began in a Kansas City parking lot in 2010. Court records show that a Missouri State Highway Patrol sergeant observed White and another man leaving a hydroponics store and filling a pickup truck with plant-growing equipment. According to court filings, White was the focus of a brief investigation. Details of that investigation were never passed onto the Polk County Sheriff's Office, the federal prosecutor said. The discovery of more than 1,700 marijuana plants on White's property, authorities said, was just luck. The detectives testified that they had never met or heard of White before coming onto his property in March 2012. The detectives also said they didn't notice a gate with a "No Trespassing" sign when they drove down White's driveway. That's not true, White said in court filings. The gate was closed, he said, and they had no right to open it and enter his property. Two neighbors testified in court, saying they had lived next to White for years, and he never had his gate open. One said he saw officers approach the gate that day, get out of their car, undo the chain and open the gate. Authorities twice went onto White's property before obtaining a search warrant, court records show. White's attorneys filed a motion to suppress evidence in the case, but a federal judge ruled against White. In another attempt to have the case dismissed, in 2015, White's new attorney Jason Coatney said federal law was being unfairly applied to White. In a motion, Coatney said the federal government has a "schizophrenic" approach to marijuana laws. Prosecuting White for something that would be legal in Colorado is a violation of White's 14th Amendment rights, Coatney argued. If the federal government is letting it happen in Colorado and other states, Coatney said, they should let it happen in Missouri. Coatney also pointed to 2013 guidelines from the Department of Justice that told federal prosecutors to prioritize marijuana cases that involve organized crime or distribute to children — neither of which apply to White. A federal judge ruled against White, and the case again moved toward trial. In February, White pleaded guilty to manufacturing more than 1,000 marijuana plants. Since early 2015, White has been housed at the Greene County Jail. A pre-sentencing report calculated that White should serve at least 24 years in prison. That was partly due to White's criminal past. He was convicted in 1990 of manufacturing more than 600 marijuana plants and in 2004 of manufacturing more than 100 marijuana plants. Under a plea deal, the federal prosecutor suggested the minimum sentence under U.S. law: 10 years. Coatney suggested home confinement, but Harpool, the judge, said that couldn't apply. 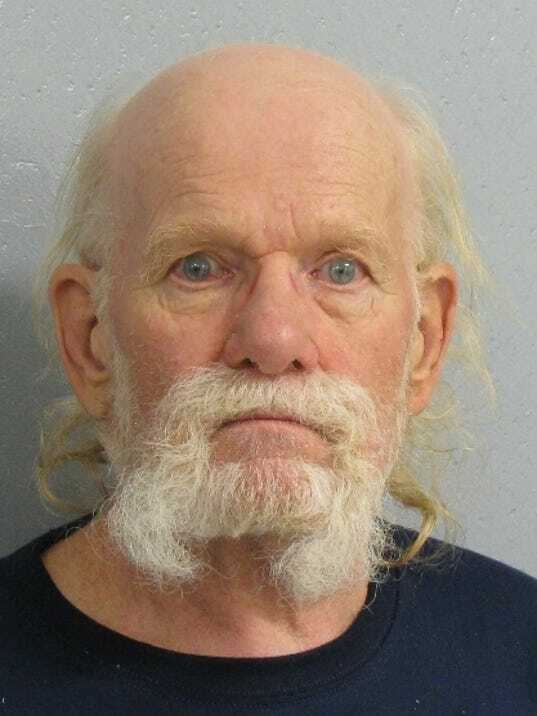 Harpool eventually sentenced White to 10 years in prison but said he would suggest that the Bureau of Prisons consider a "compassionate release" for White. Four people — family and friends of White — came to the sentencing hearing. They were upset at the sentence and upset the case was never thrown out. "He's a good man. He's always been happy and cheerful," White's stepdaughter, Valerie Patterson, said. "He's never had a history of violence." Robert Murphy, a friend, said officers entered White's property unlawfully. "He's a farmer. He's always been a farmer," Murphy said. "When he was busted, he was busted illegally."